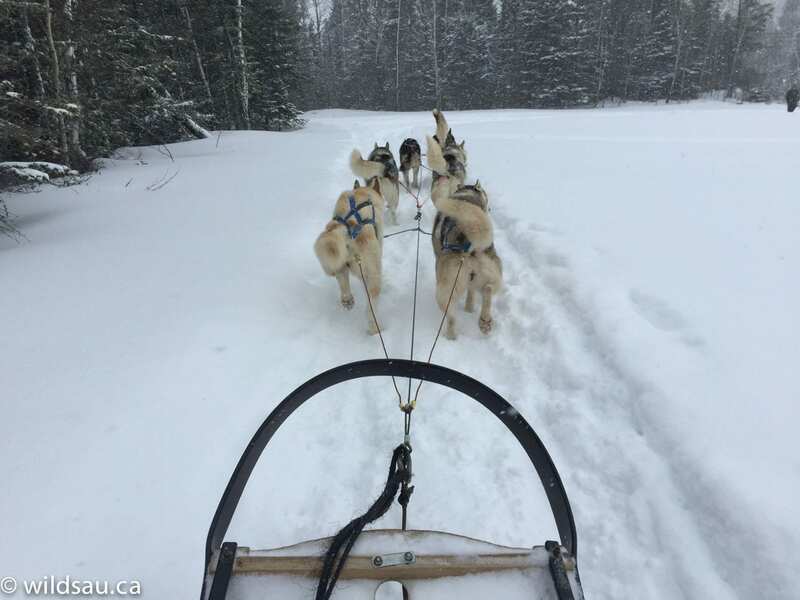 On the cold and blustery morning of February 18th, I got up early, drove to the Edmonton airport and flew to Toronto and then on to Quebec City. I was picked up at the airport and shuttled to our hotel in the core of the city, and was given instructions to dress warm. Like really warm – they suggested snow pants! 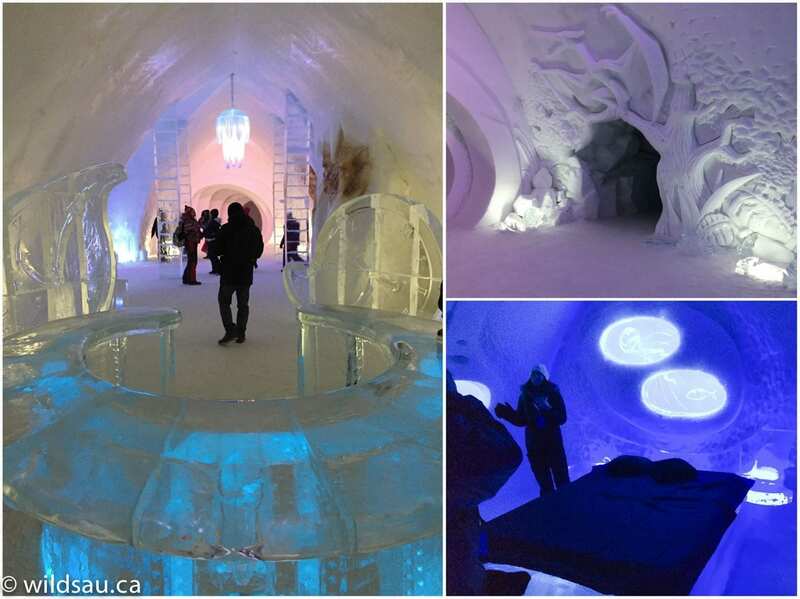 And for good reason, as we were off to the world-famous Hotel de Glace (Ice Hotel). A hotel that is rebuilt every year. Every year it gets a new layout and it grows – it’s evolved from the original eight bedroom set-up to a vast structure with a reception hall, a bar, numerous corridors and 44 bedrooms! We got a slick VIP tour, including a visit of the honeymoon suite complete with a fireplace and its own hot tub outside. Staying there overnight would be a test, I’d think. But it was certainly an adventure. 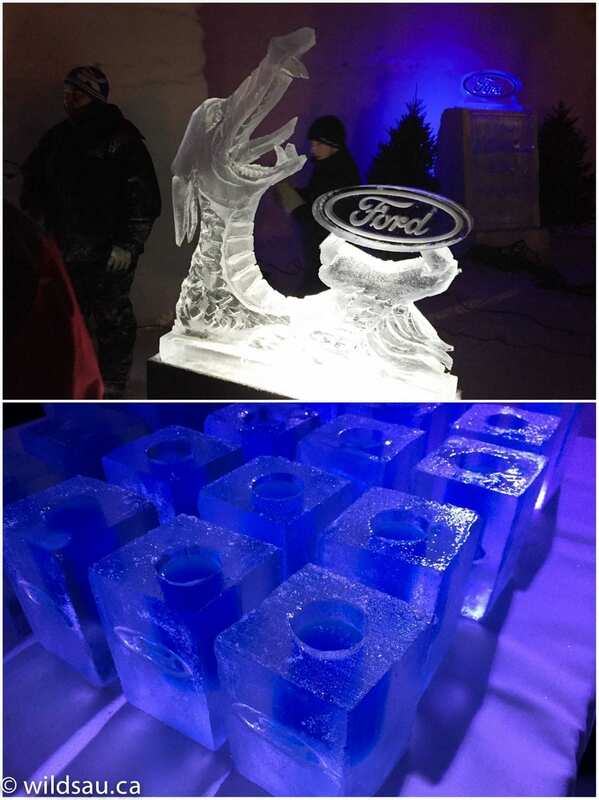 After an amazing dinner and an incredible ice-carving demonstration (two blocks of ice were turned into a dragon holding a Ford logo in less than 10 minutes), we were on our way back to our (warm) hotel. 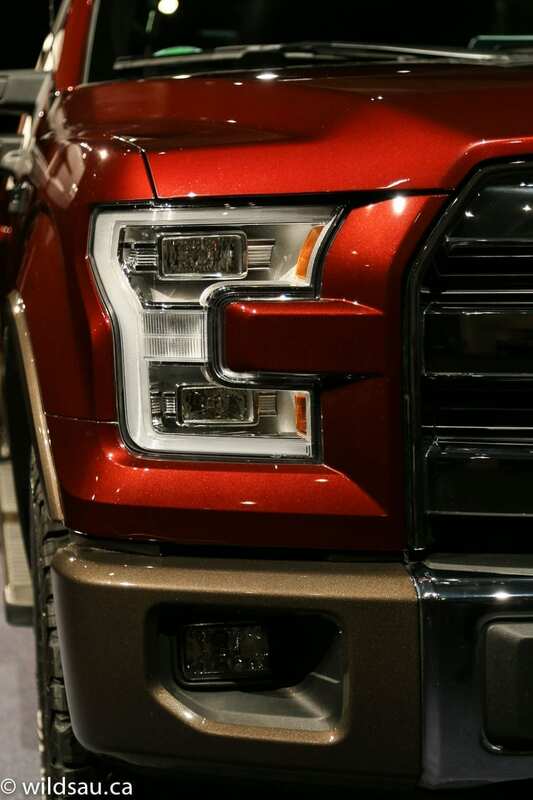 The morning of February 19th started with breakfast, and a brief Ford F-150 product presentation. 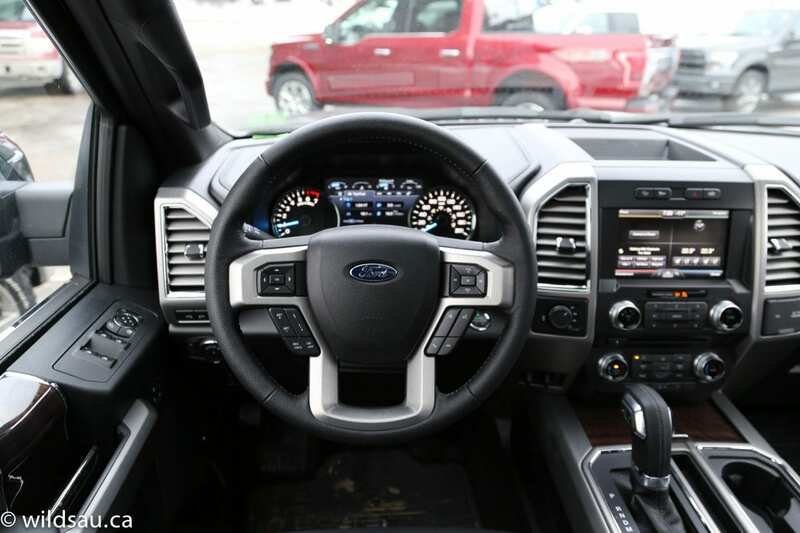 Mike Sinuita, the product marketing manager for trucks for Ford of Canada and Larry Queener, head of the F-150 program in Dearborn, were both on hand to show us around the vehicle and answer questions. 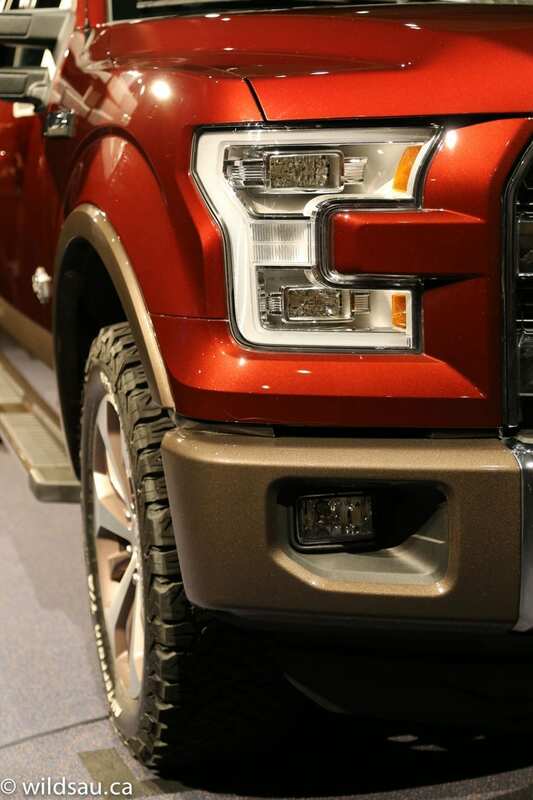 Is the F-150 important to Ford? Well, let’s see. 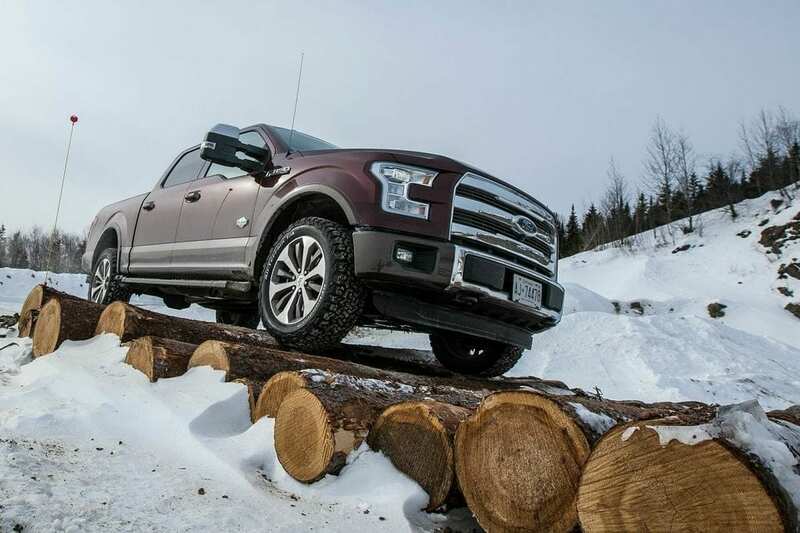 The F-150, which happens to be AJAC’s 2015 Canadian Utility vehicle of the year, has been Canada’s best-selling truck for 49 years. Heck, it’s been the best-selling vehicle period in Canada for five straight years. 2014 was a banner year, setting a new record with 126,000 units sold! 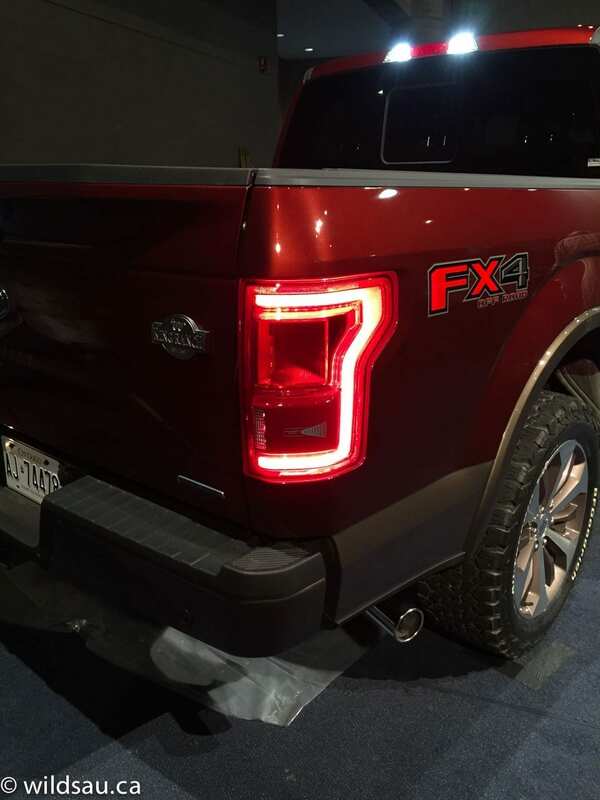 So yes, the F-150 is somewhat important to Ford. Which makes the all-new 2015 critical, since it represents a big slice of the Ford pie. Obviously they need to get it right. They’re selling it as the “toughest smartest most capable F-150 ever”. Pretty lofty stuff. But they back it up with some numbers too. Most capable? 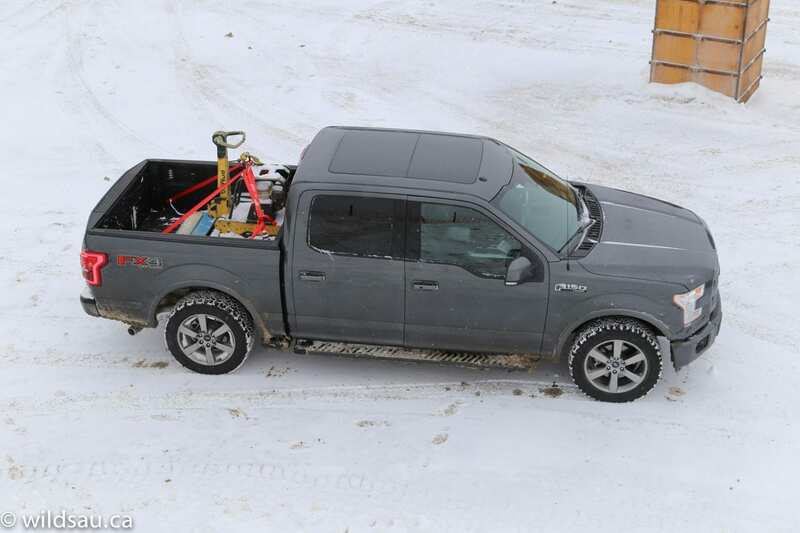 They claim best-in-class towing (up to 12,200 lb) and best-in-class payload (up to 3300 lb). And it’s also the most fuel efficient F-150 ever. 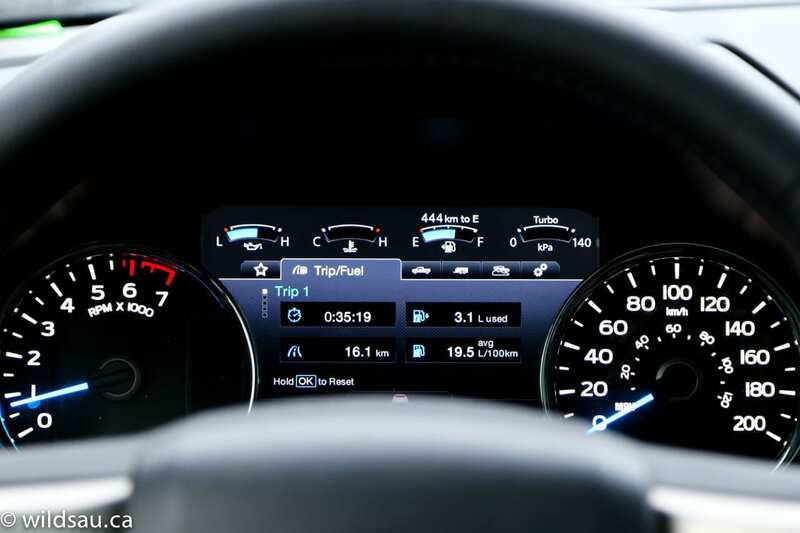 Ford knows that its customers are more savvy and more efficient than ever before, and they need to respond to the changing market place. 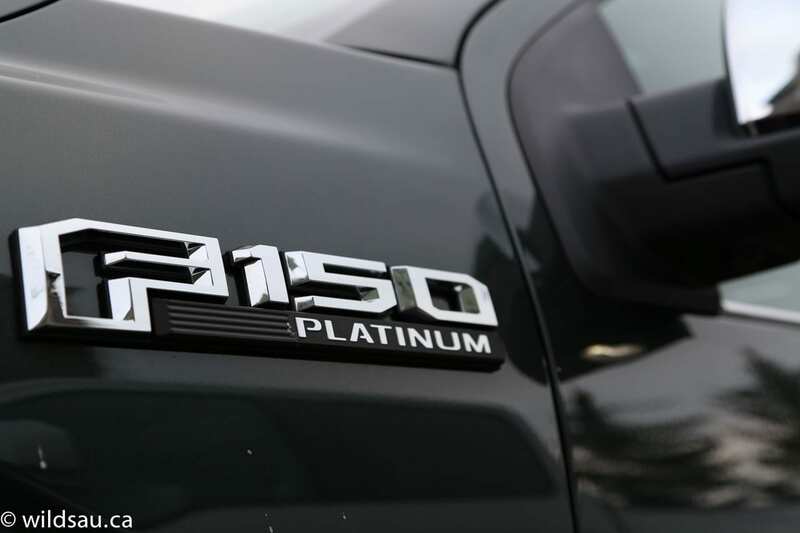 Development on this generation of F-150 started upon the launch of the ’09 F-150, giving Ford a lot of time to develop and test it. And test it they did – in different geographies, terrains and industries. 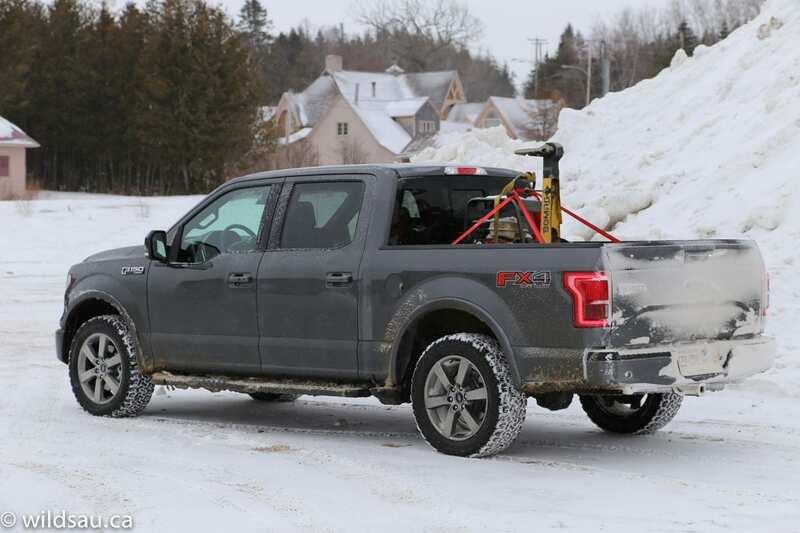 One of the big selling features in the new F-150 is the reduced weight. They’ve achieved this by using more advanced steel in the frame than ever before and more importantly by using high-strength aluminum alloy throughout the body – for the cab, box and other panels. 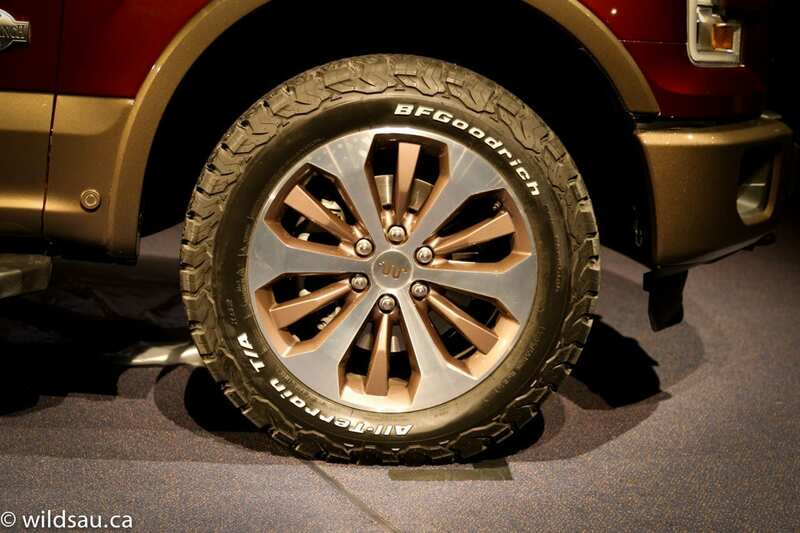 Ford was pretty clear that they feel the combination of these two materials is the best combination for their truck’s toughness. Light-weighting, as they call it, translates into more capability and more efficiency, better towing, payload, improved handling, faster acceleration, better braking and up to 20% fuel economy improvement! 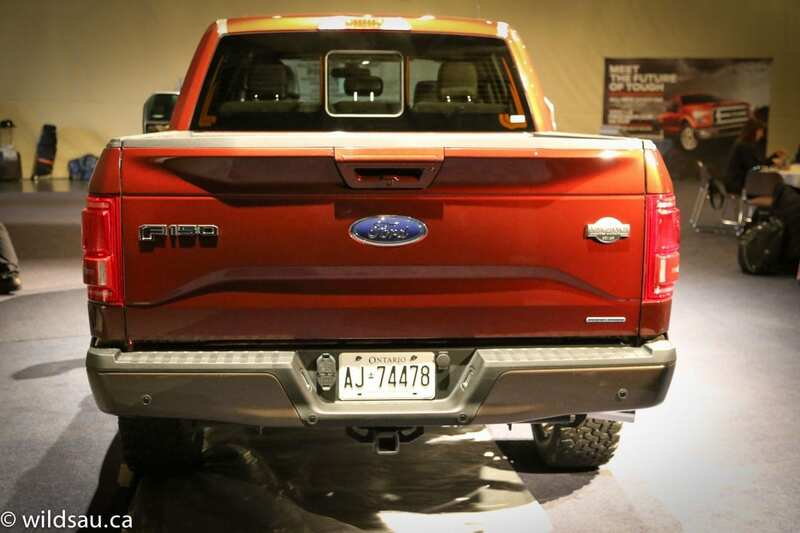 Overall, the F-150 line has seen a 5-16% improvement in power-to-weight ratio. That’s a big deal. Thankfully, Ford decided to pare down the number of available trim lines to something more manageable. 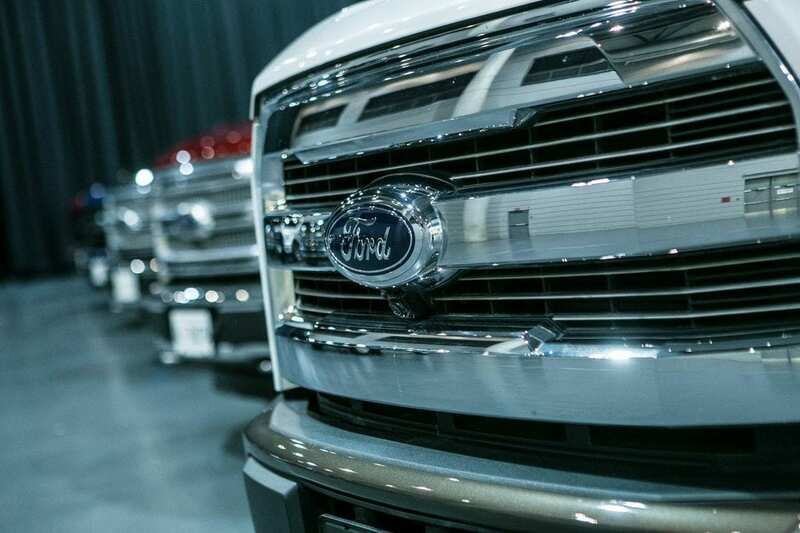 There’s the XL (starting at $21,399 – available in Chrome or Sport), the XLT (starting at $32,399 – available in XTR or XLT Sport), the Lariat (starting at $48,099 – again in Chrome or Sport), the King Ranch (starting at $64,999) and the top-line Platinum ($66,999). 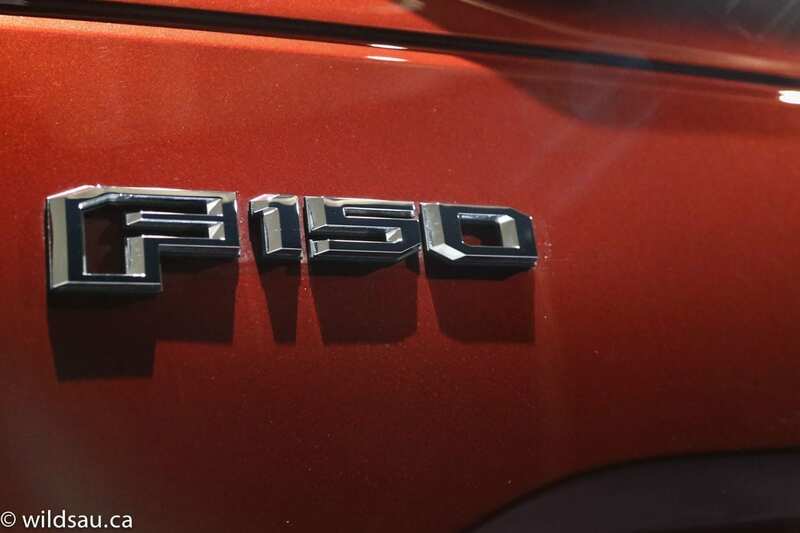 There are four engine choices in the F-150 line. The 3.5L V6 represents Ford’s value choice and the lowest operating costs. 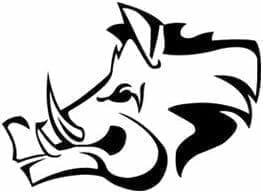 It’s rated at 283 hp and 255 lb.ft of torque and has a 7,600 lb towing capacity. Next is the (brand-new) mid-range choice – a 2.7L EcoBoost V6 taking things up a notch to 325 hp and 375 lb.ft of torque while boasting a best-in-class fuel economy rated at 9.2 L/100 km on the highway, and 12.2 L/100 km in the city. It can tow up to 8,500 lb. Yes, the trusty old 5.0L V8 with 385 hp and 387 lb.ft of torque on tap is still there, as is the pinnacle of engine choices, the mighty 3.5L EcoBoost V6 which churns out 365 hp and 420 lb.ft of torque and has the best-in-class towing capability of up to 12,200 lb. 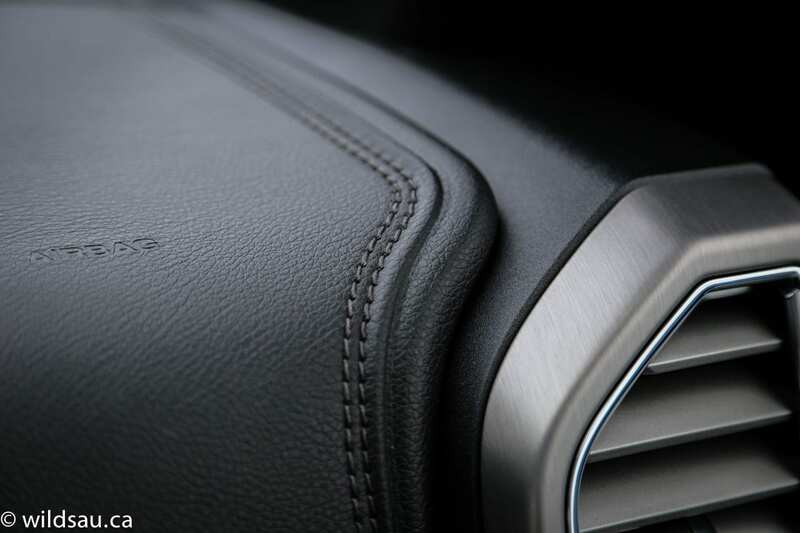 Once you get into the new F-150, you’ll notice refinements all over the place. 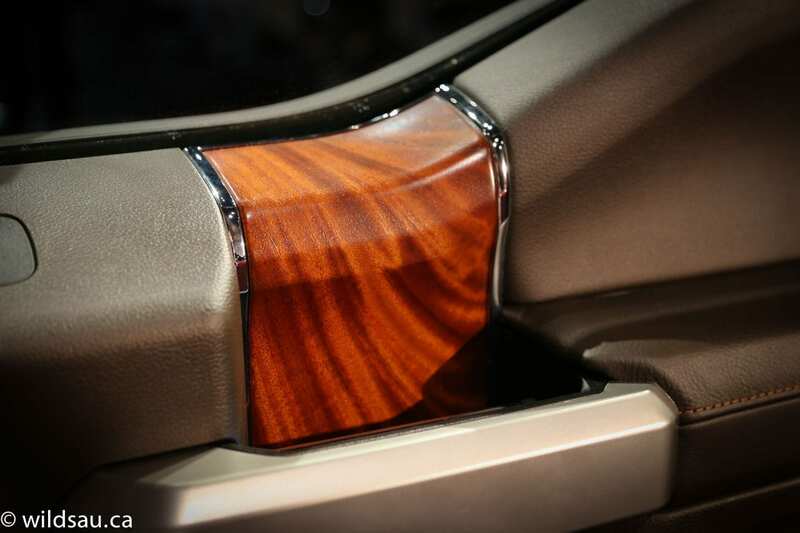 The top-level Platinum is particularly nice, with stitched, upholstered panels on the dash and rich wood trim. 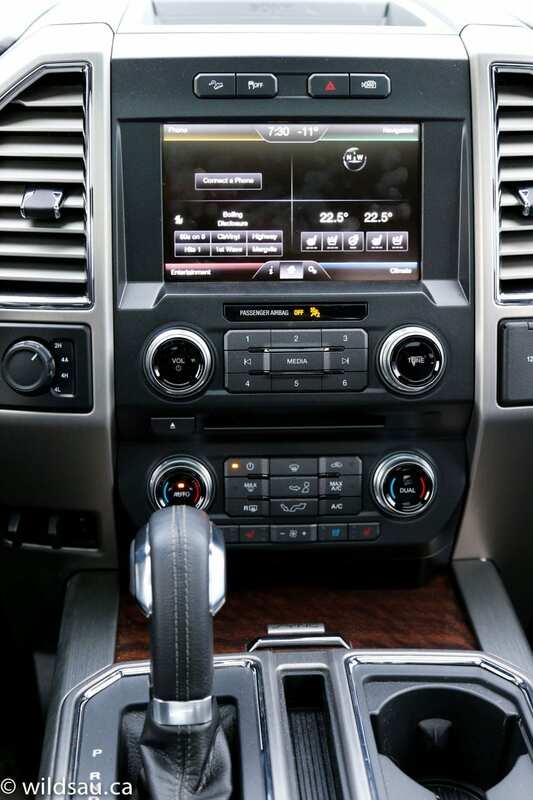 The MyFordTouch screen soldiers on, augmented by just the bare minimum of hard buttons. 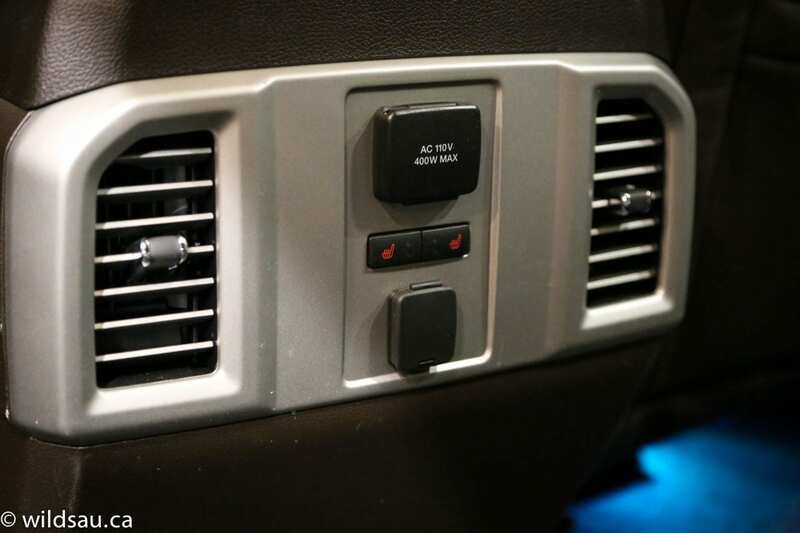 All knobs in the vehicle are big enough to be operated while wearing gloves. There’s plenty of storage throughout the cabin, with a few key spaces that caught my attention. An excellent rubberized bin at the front of the centre console, as well as a massive space underneath the armrest lid. I loved the 8-inch “productivity” screen between the two main gauges, which provided access to any and all information you might want from your truck. 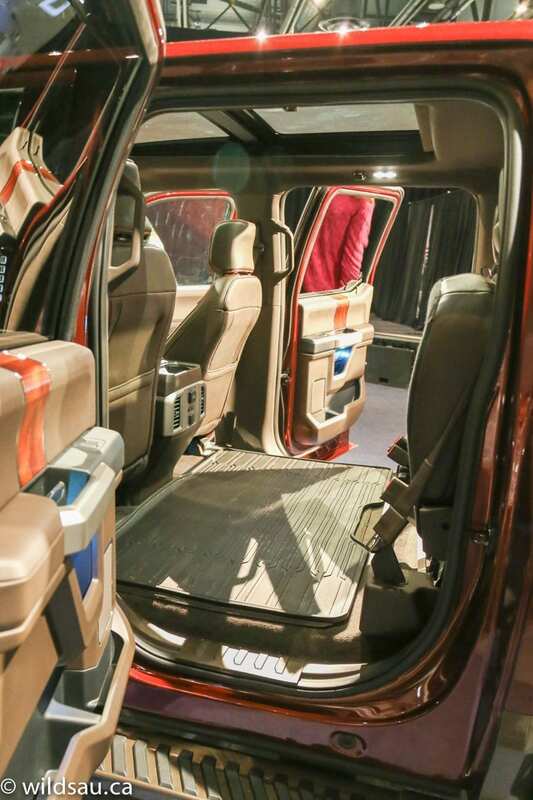 The available panoramic roof overhead is fantastic and really adds some airiness to the already huge rear passenger compartment, where you’ll find limo-like leg and head room. There’s plenty of space for three adult passengers, and you’ll find LATCH anchors for childrens’ seats if you need them. Moving something huge that needs to be out of the elements? No problem. 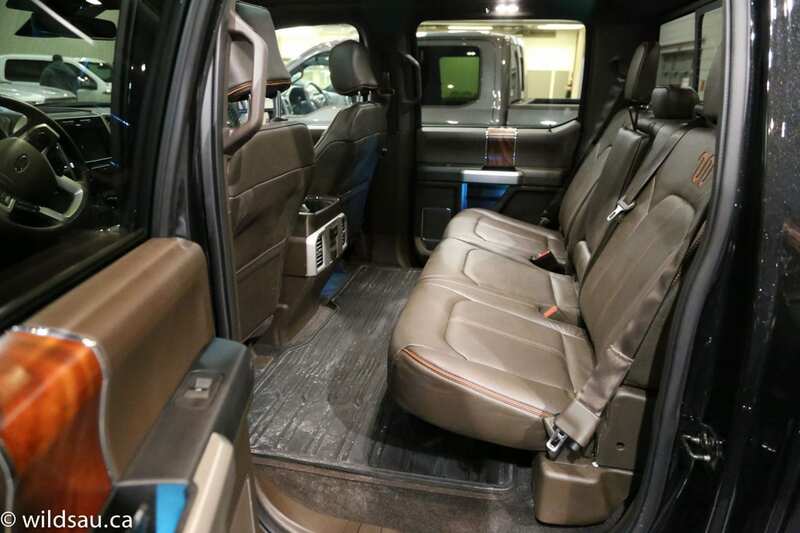 The rear seat bottoms simply fold up and out of the way, providing you with ample convenient cargo space inside the cab – with a completely flat floor. 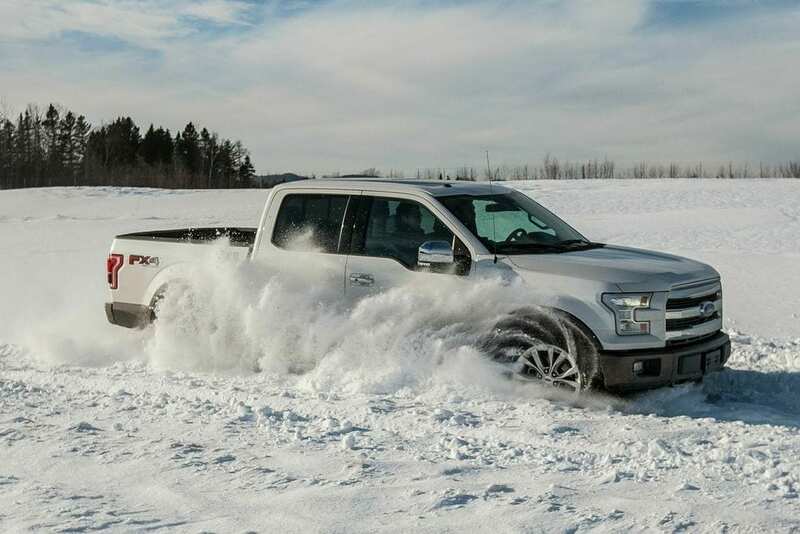 When it comes to the driving experience, the F-150 remains a truck. Yes, the ride is smooth, particularly on the highway, where I found it to be exceptionally stable and well-controlled – until you get onto roads that aren’t perfect. And then the live rear axle makes itself known, and while it feels smoother than the last generation, it still hops around and over bumps and road irregularities. Also, being a true 4×4, you can expect a cruise ship-like turning radius. 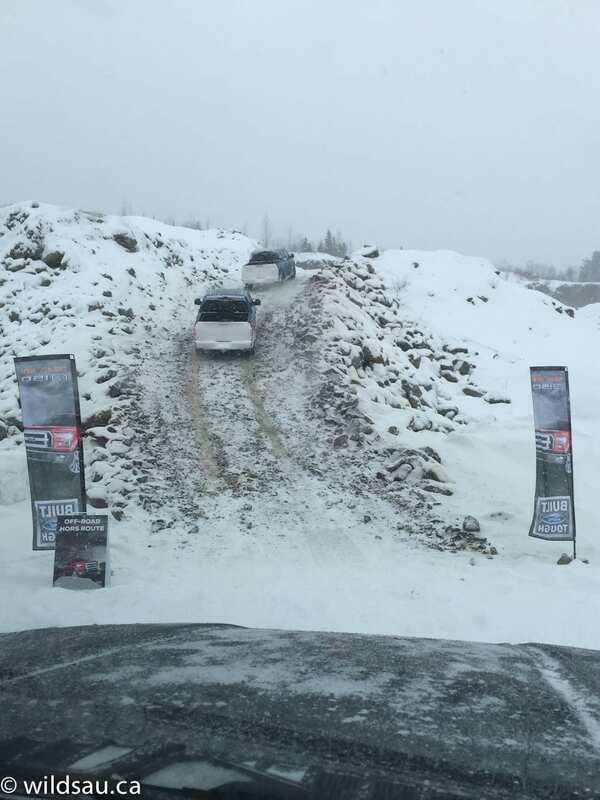 The 4A mode, which is automatic 4×4, is very intelligent and effective, grabbing traction with the front end the moment slippage is apparent. 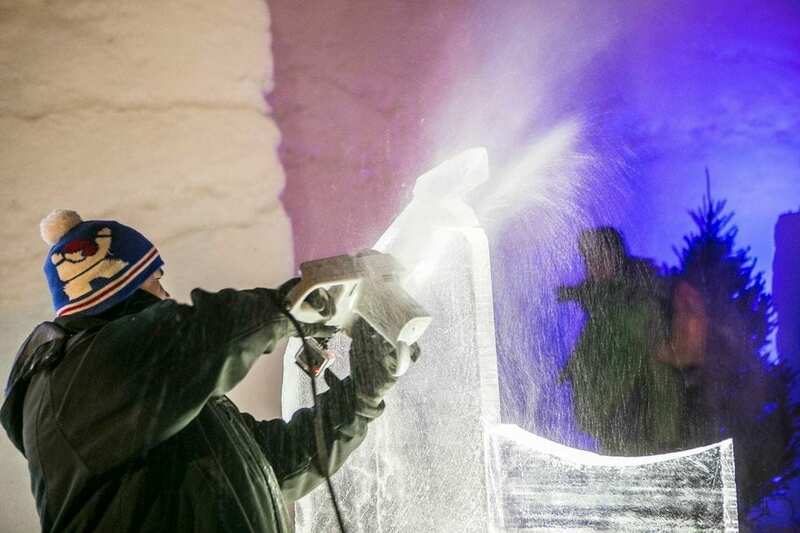 We had plenty of opportunity to see it at work in the wintry Quebec countryside. We tested the new 2.7L EcoBoost and were impressed by its low-end grunt and drivability, even when tasked to carry additional weight, etc. We also drove some of the other engines, which have all proven themselves and carry over into the new generation. 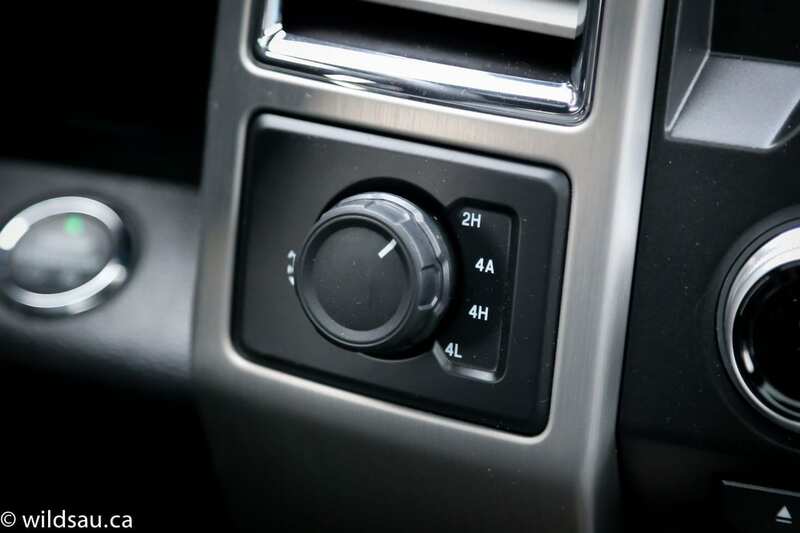 The automatic transmission is smart, and willing to shift down whenever necessary, and it remained smooth in all driving situations. You can shift it manually if you need to. 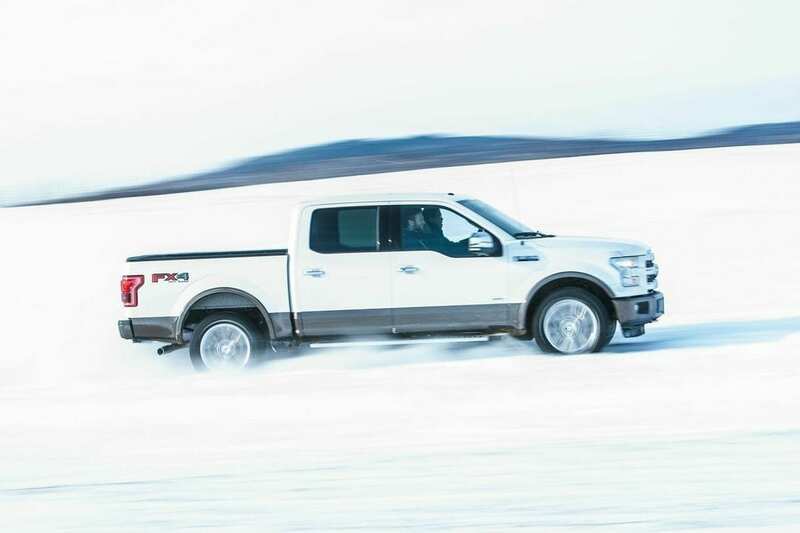 Ford had set up a number of ways for us to test the new F-150’s abilities. 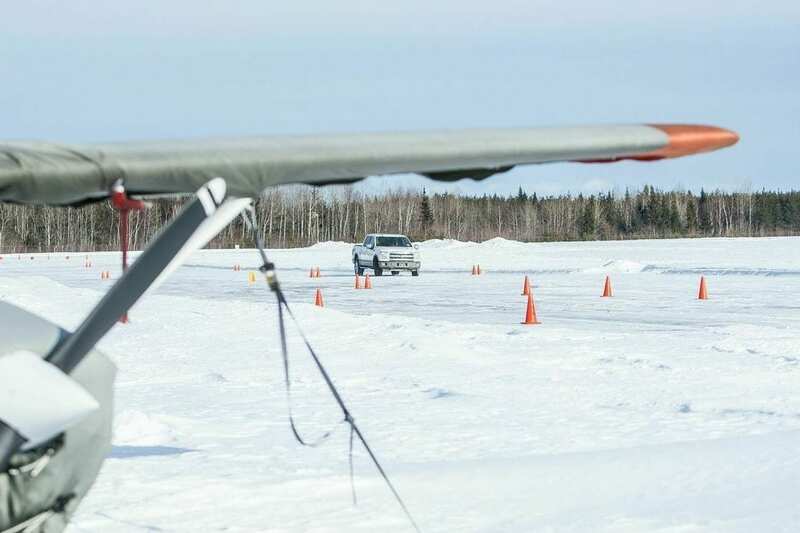 After taking the highway to the scenic Charlevoix area, we made our way to each of the test sites. There was a payload test, where we had a huge construction tamper strapped into the box – the additional weight of around 900 lb wasn’t even noticeable. We also had an extended towing test, pulling a trailer loaded with a small excavator. 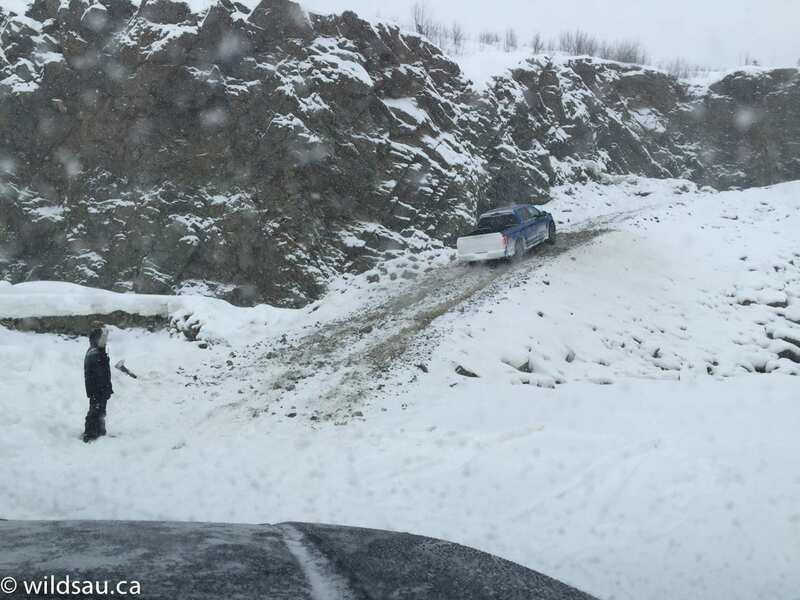 The additional 8000 lb definitely impacted the truck, but it remained civil and in control, even up and down massive (8%) grades and in snowy conditions. The towing capabilities were very clear, and I was impressed. 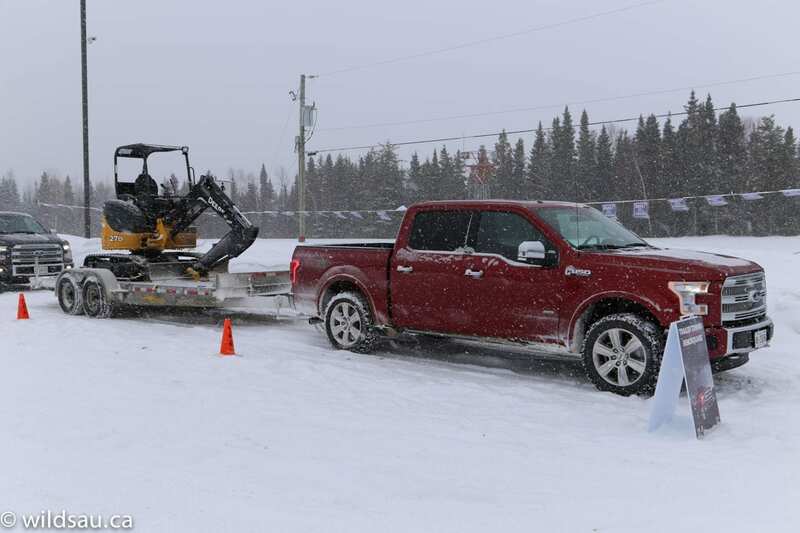 With the awful road conditions and weather, we were able to see most of the technology at work, including the trailer sway control and the transmission’s tow/haul mode. 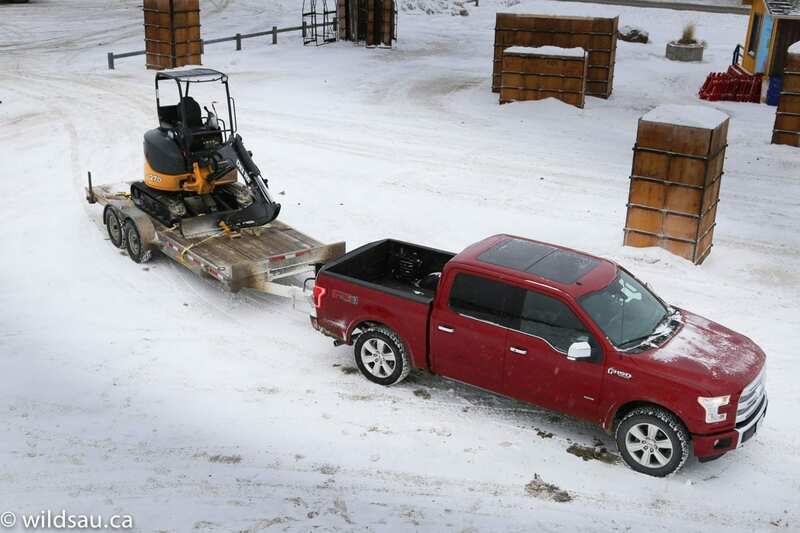 Other innovations come in handy when the F-150 is called upon to do work. 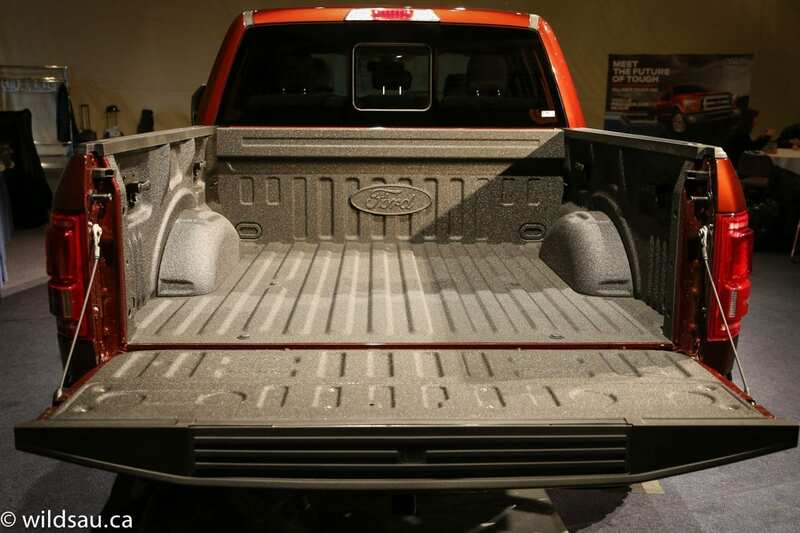 Ford’s next-generation tailgate step is completely integrated into the tailgate now. 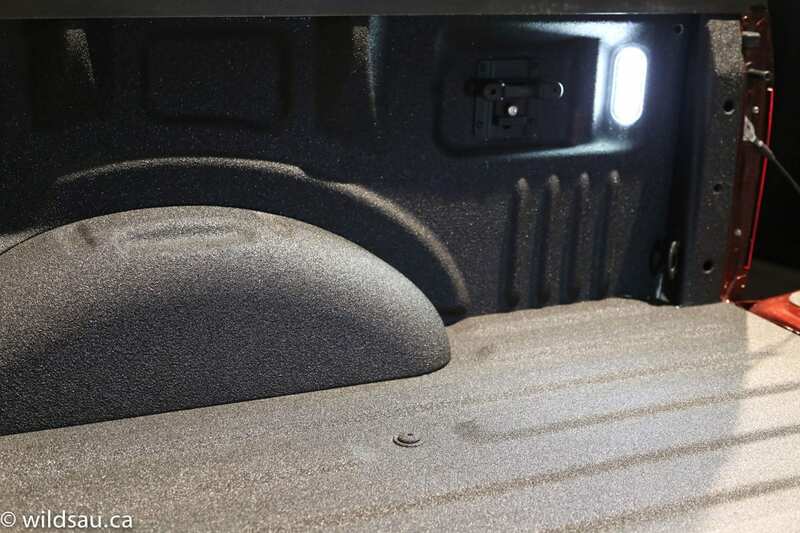 LED lighting is everywhere – allowing you to light up the truck box from above and within! 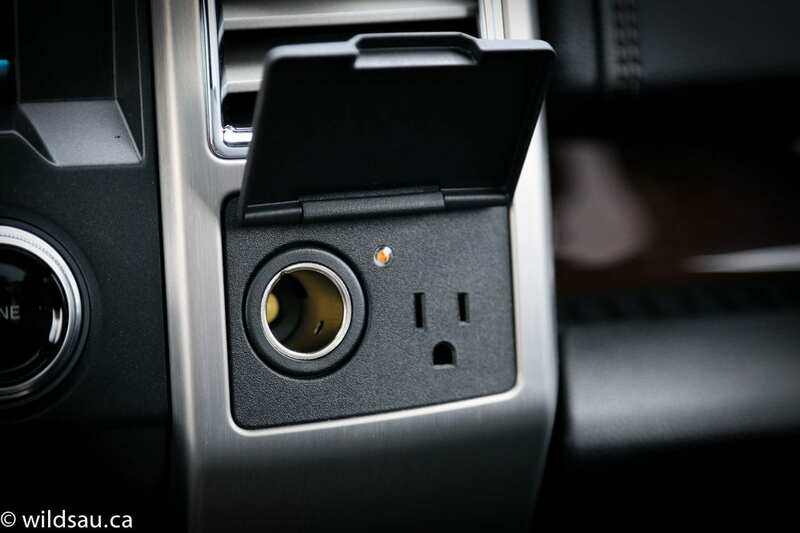 Need to see what’s beside your truck at the work site or in the campground? 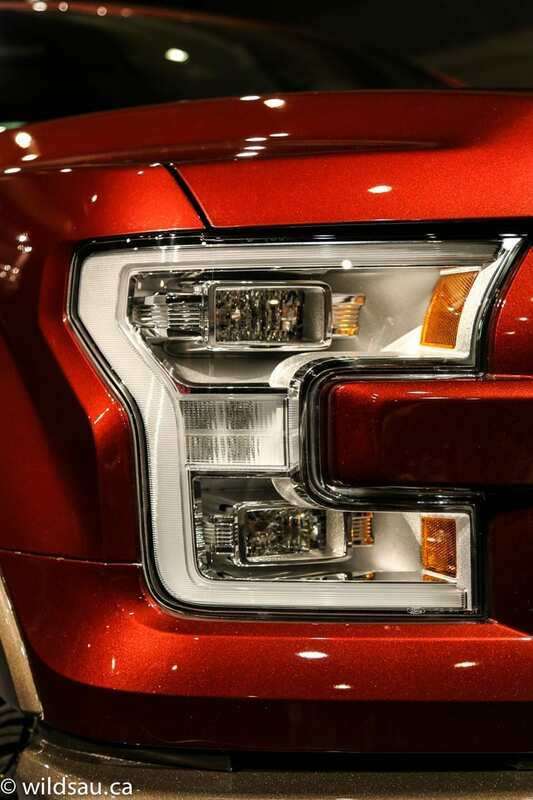 No problem – there are LED lights in the side-view mirrors too. And hey, if you’re having an issue hooking up your trailer in the dark, there’s another LED on the tail gate, shining down directly onto the trailer hitch. Brilliant! 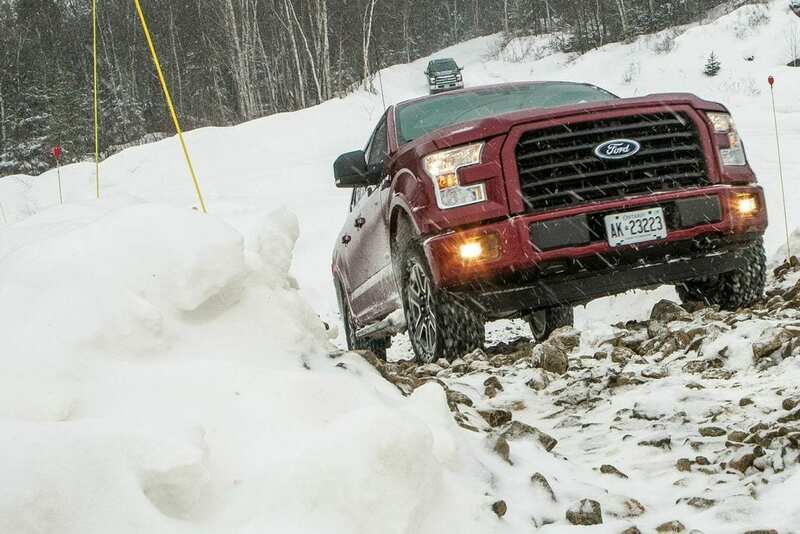 Having proven the F-150 as a capable work truck, Ford also set up an epic off-road course. It was carved into a rock quarry. Without exaggerating, they spent a week with heavy equipment shaping a truly incredible track with insane uphills on loose rock, downhills that sent my sphincter into fits of fear and anxiety, piles of logs to drive over and single track through forests in the deep, fresh snow. 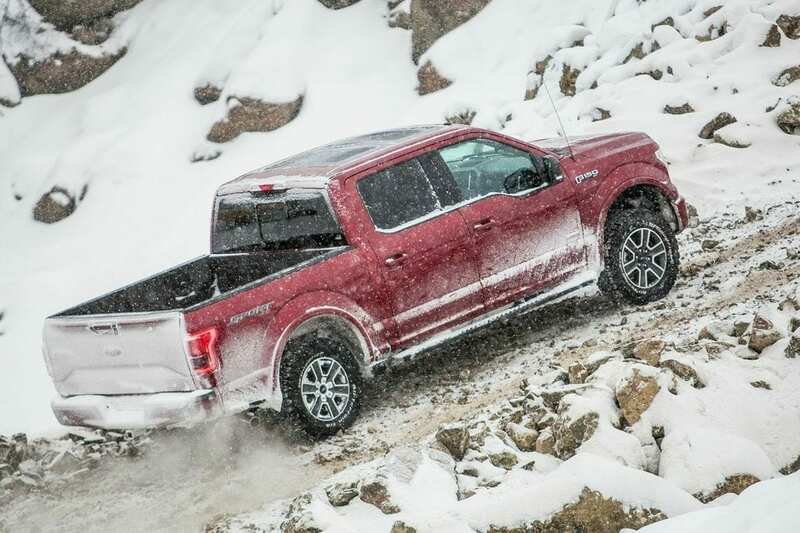 The F-150 performed heroically, and it’s an understatement to say that these stock trucks were impressive off the beaten path. I was simply amazed that they didn’t even hesitate to tackle any of the obstacles placed before them. The available 360-degree camera let me see everything around me, even if the angles I was driving at were so extreme that I actually couldn’t see what was ahead of me or behind me out of the windows. 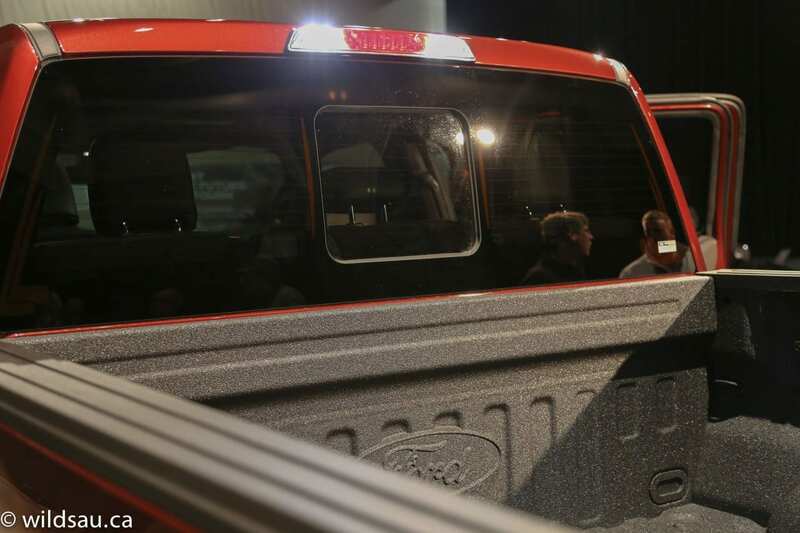 A neat touch – Ford did away with the F-150’s three-pane rear window. It’s now crafted out of a large single pane – and the hole for the small, centre sliding window? Yeah, it’s laser cut and it looks very cool. 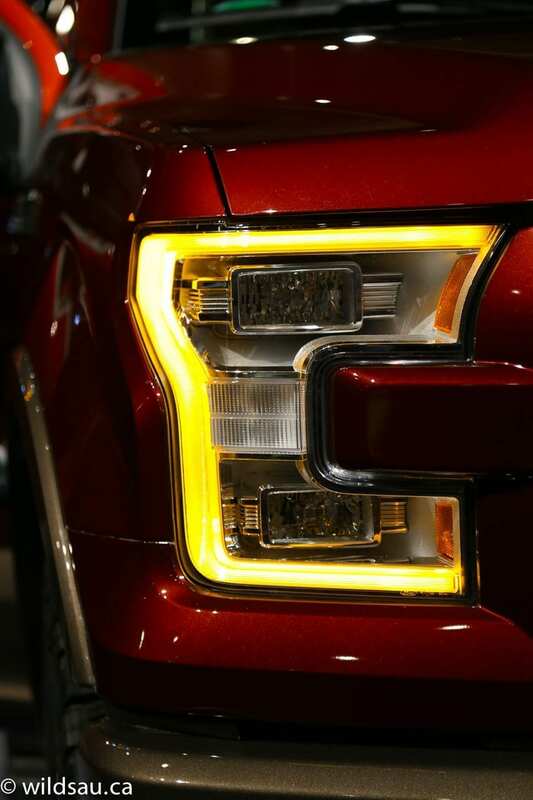 While the F-150 remains instantly identifiable, there are some slick little changes in the new generation. Perhaps the most obvious are the LED lighting. Aggressive quad-LED headlights, bracketed by orange LED light strips flank the massive grille, and the rear corners are adorned by LED strip tail lights as well. 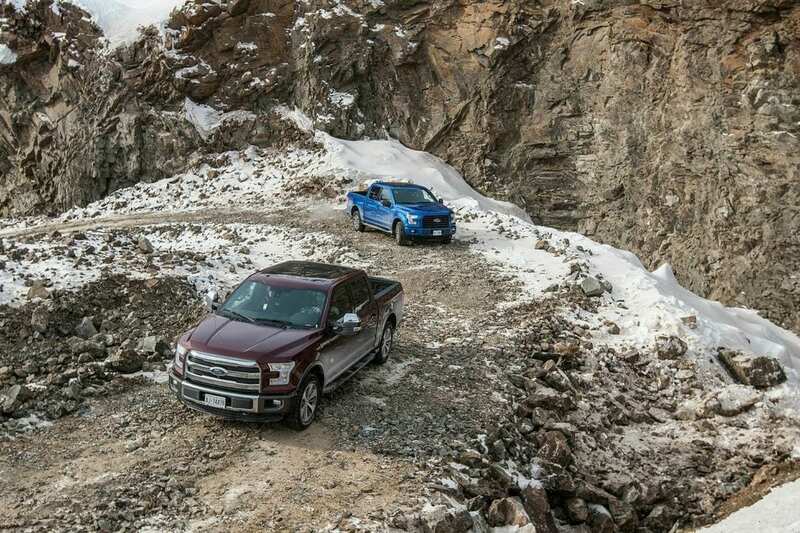 When it comes to driver assistance technology, the new F-150 can be loaded up. 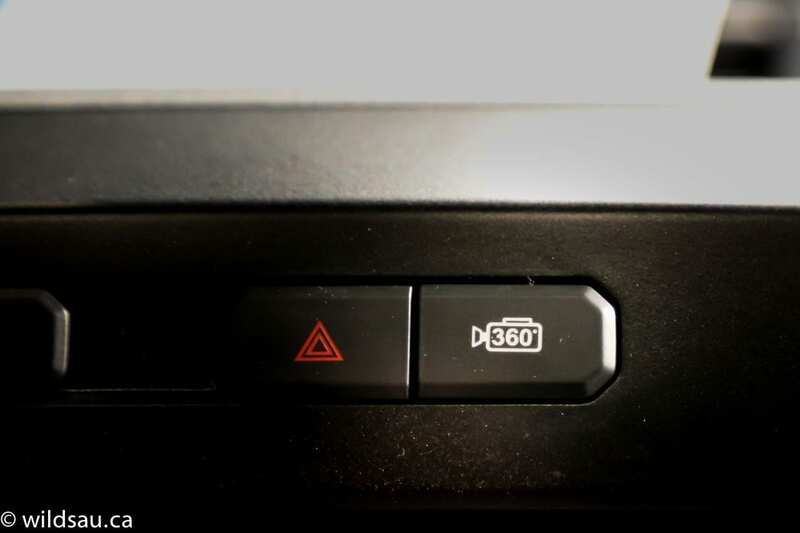 Available are blind-spot monitoring, adaptive cruise control, cross traffic alert, collision warning, lane-keeping, active park assist and of course the 360-degree camera. 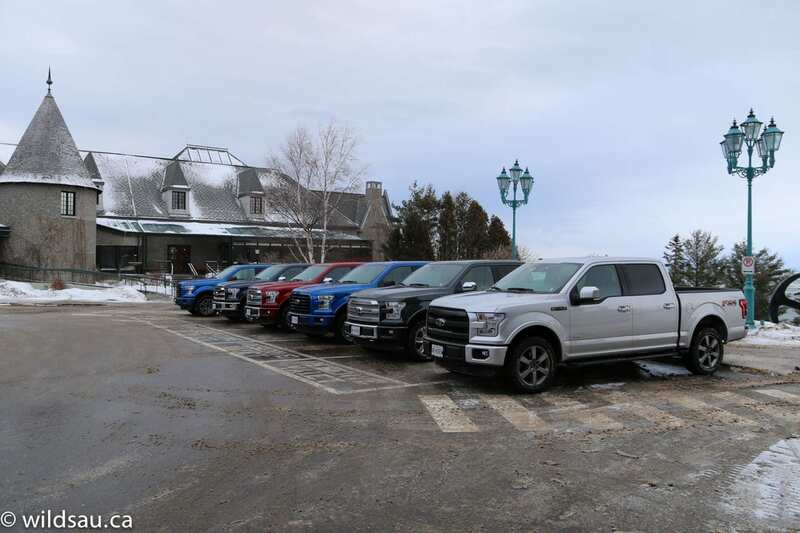 After a long day of exploring rural Quebec and putting the 2015 F-150 through its paces (with a few breaks for fun stuff like dog sledding and snowmobiling! ), we retreated to the Fairmont Le Manoir Richelieu, a gorgeous chateau hotel overlooking the St. Lawrence River in La Malbaie. 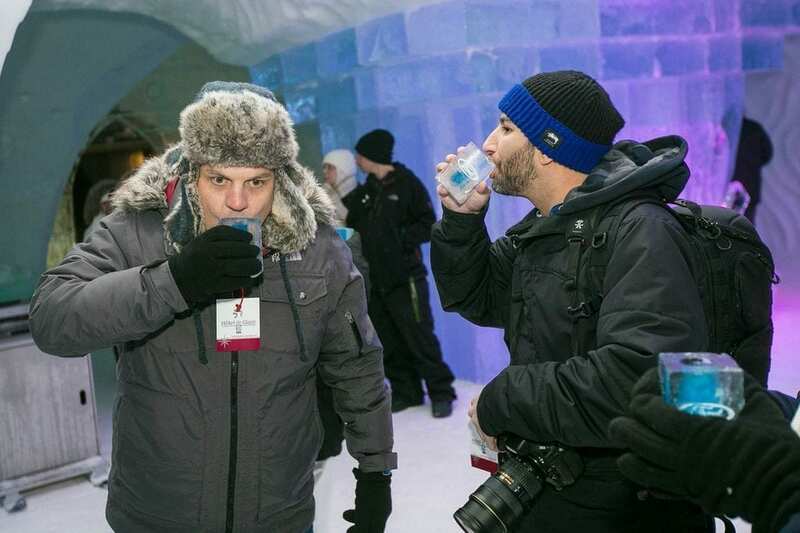 It’s as historically beautiful as you’d expect from any Fairmont hotel, and we were treated to an exceptional, sumptuous dinner menu created just for us from local culinary delights, right down to the sugar shack frozen maple syrup for dessert. 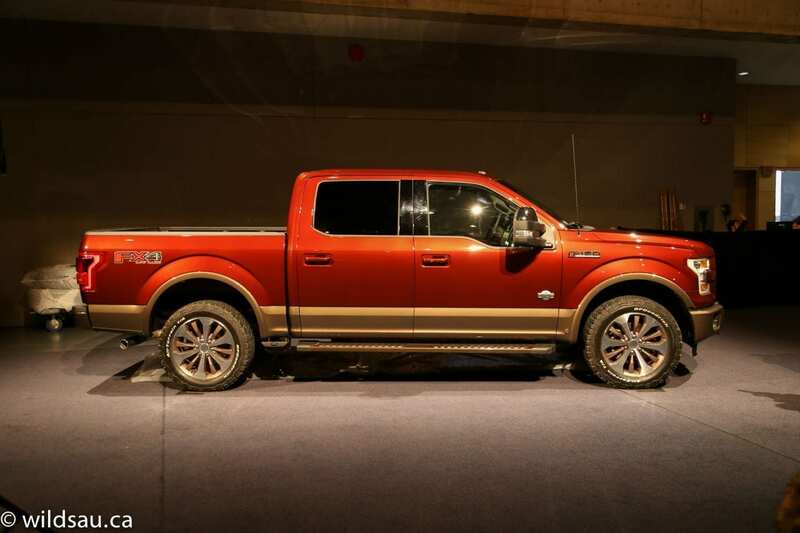 Ford has certainly done its homework with the new F-150. 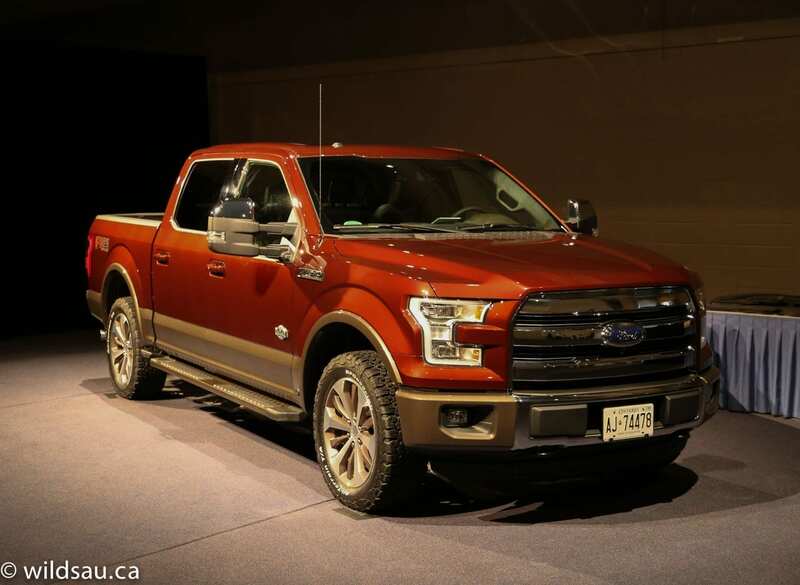 There’s a reason it’s been a market leader until now, and based on what I experienced over these three days in Quebec, I have no doubt that the F-150’s success will continue unabated. The truck gets all the basics right, and raises the bar when it comes to materials, technology, innovation, performance and efficiency. 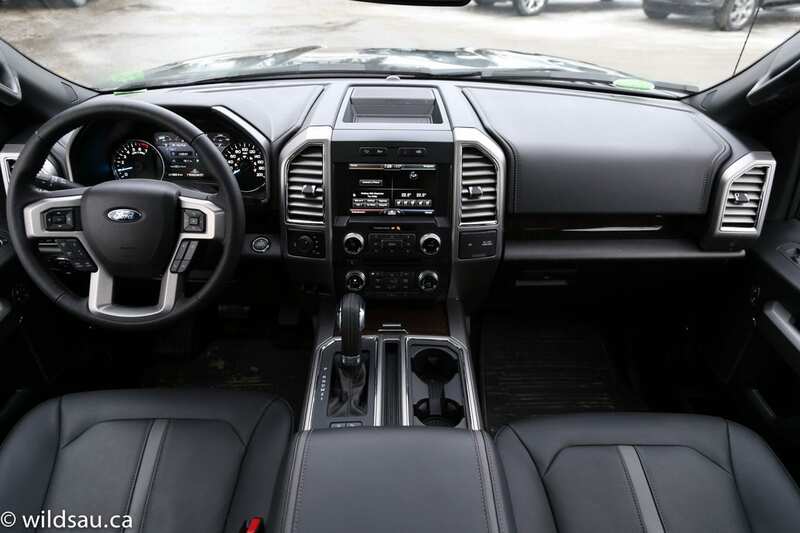 I think Ford knocked it out of the park with the 2015 F-150 and my guess is that their continued sales numbers will support my opinion. All pictures are from the three-day event.